Adidas Hockey Shoes continue to impress as their new releases for the 2017 / 2018 season top those from last year. 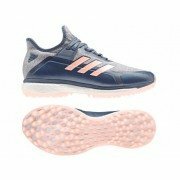 Adidas Hockey Shoes have quickly become the market leaders for several years now and selling quickly both online and in our retail stores. Adidas Hockey are taking it to the next level, pushing technology through more boundaries. 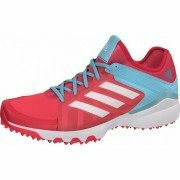 Adidas Hockey Shoes are top of the range in technology and popularity, they have the typical Adidas Hockey bright designs. 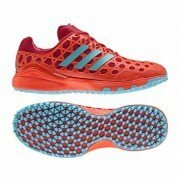 With the AdiPower and SRS being updated with a fresh colour scheme and the release of two new styles, the Adidas hockey shoe range dominates the market. BRAND NEW THIS YEAR the Lux hockey shoe and Zone Dox hockey shoe offer athletes a whole new way to get around the pitch. 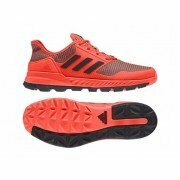 All Adidas shoes combine ultra-lightweight designs and unrivalled comfort and support to assist speed and power for those who choose to wear them. 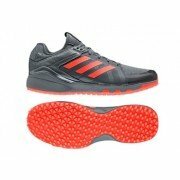 Endorsed by athletes worldwide, the Adidas Hockey shoes range assures quality across the board. 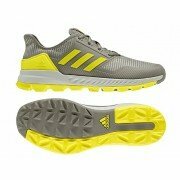 Adidas have been making hockey shoes for a number of years now and they are continuing to develop and improve the way athletes move around the pitch. Increased power and speed is what Adidas Hockey Shoes are all about. 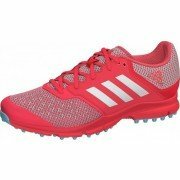 All Rounder Hockey stock Junior Adidas Hockey shoes and adults Adidas hockey shoes in all sizes so that all players can find brand new adidas hockey shoes in just a few clicks.